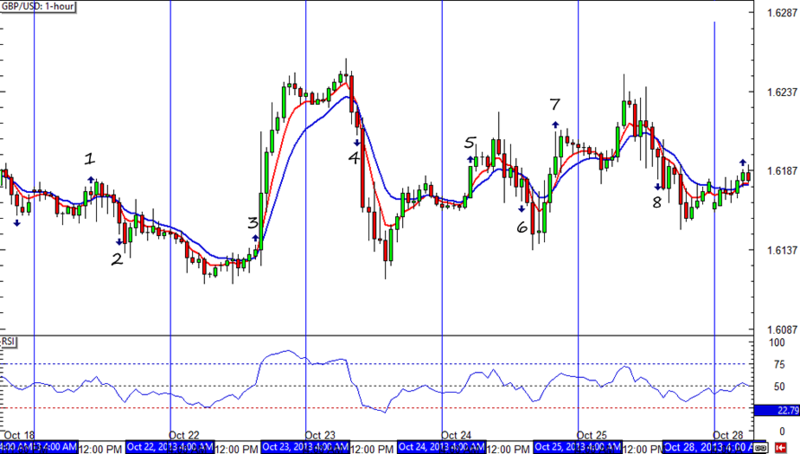 The HLHB Trend-Catcher missed a couple of good moves with EUR/USD thanks to RSI signals that were already below or above 50 when the signals popped up. At the end of the week, the system was down 40 pips. Here’s a money-maker! 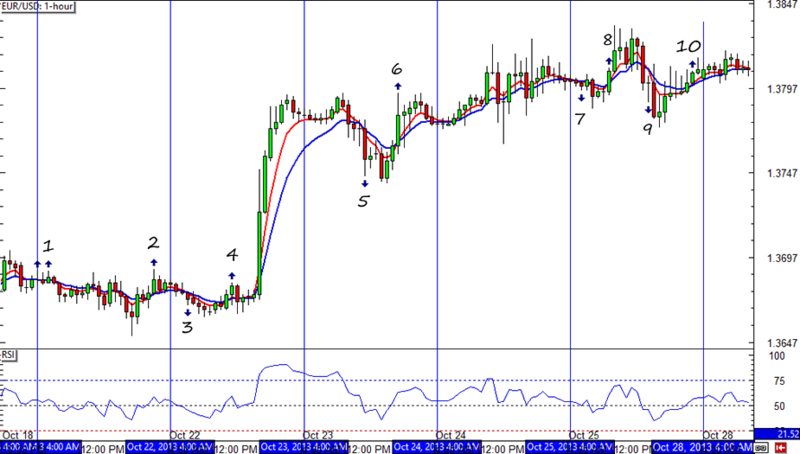 Unlike in EUR/USD, the system’s RSI signals weren’t invalid at the time of the big moves. Signals 2,3, and 4 were particularly pip-catching, which enabled the system to end with a total of 149 pips from this pair alone and a net of 109 pips for both EUR/USD and GBP/USD for the week. Not too bad, I think. Fingers crossed for another good week next week!